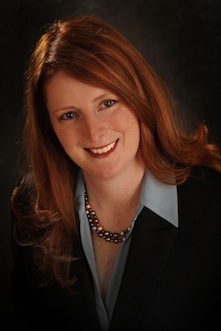 After building her skill base in a "big-firm" environment and honing her practice in a regional boutique firm, Kristina M. Reed founded Law Office of Kristina M. Reed in 2008. Kristina has a strong reputation for providing results-driven client-focused legal services. Kristina leverages her "big-firm" training to provide quality and efficient legal services to her clients. She utilizes the latest technology and brings a practical approach to her client's legal needs. Research Assistant for Professor Christine Manolakas, 1998-200 – Assisted with the research and writing of article, “Trade in Technology Within the Free Trade Zone: The Impact of the WTO Agreement, NAFTA, and Tax Treaties on the NAFTA Signatories,” Northwestern Journal of International Law and Business, Fall 2000, Vol. 21, No. 1. Law Clerk for the County Counsels’ Association of California, 1998-2000 - Assisted with the research and writing of the League of California Cities/Litigation Coordination Program, California State Association of Counties (1999 Ed.) A Little Help From One’s Friends: Summary of Rules of Court and Procedural Considerations Relating to Amicus Participation.